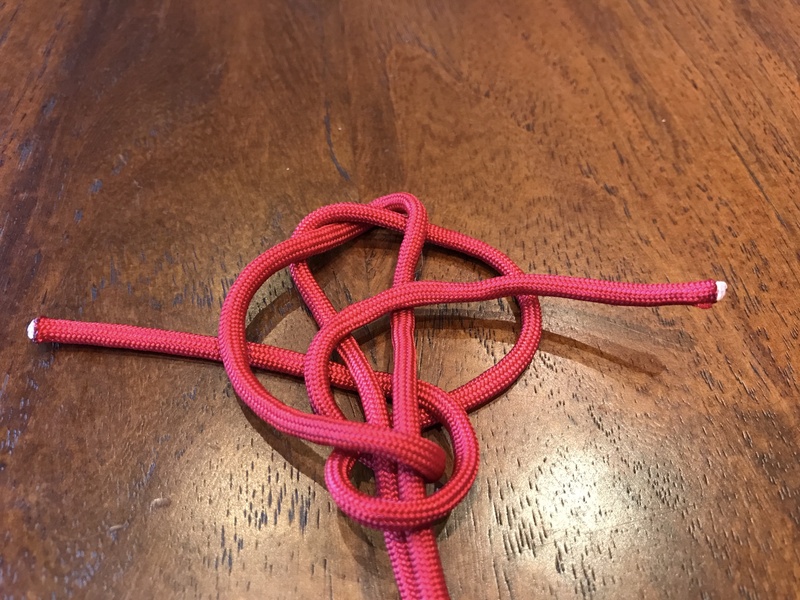 It took me all day, but I finally figured out how to tie knot #785 from The Ashley Book of Knots! 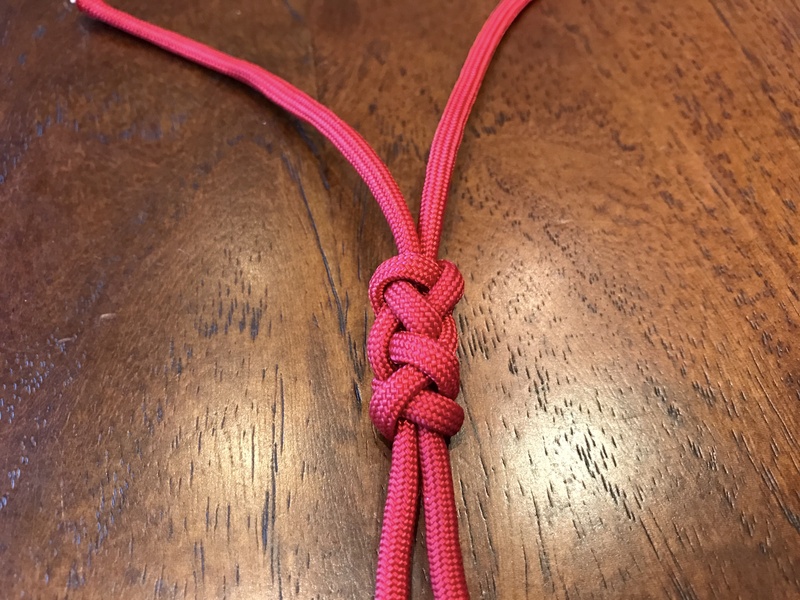 Check out the photos and video at the end of this post to see how to tie it. 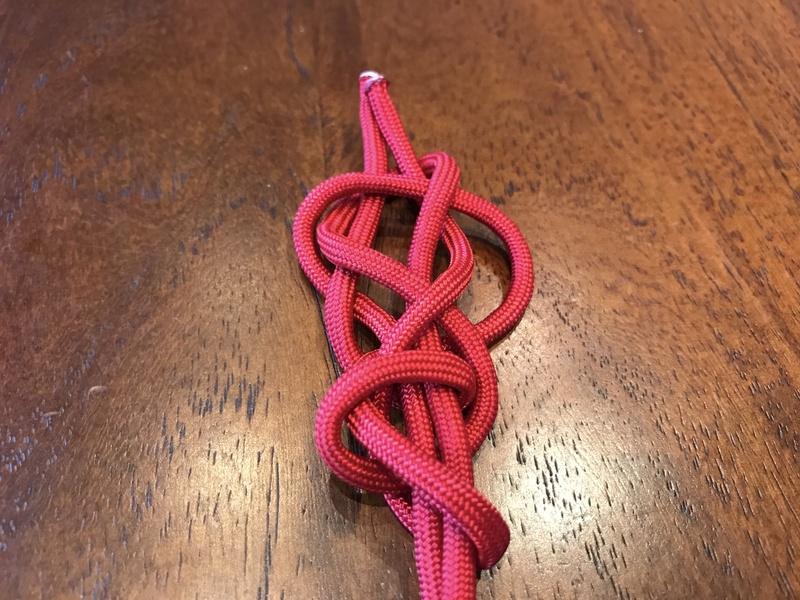 I was initially interested in it because of WhyKnot’s video on tying #784 where he mentioned there was an error in the original diagram in the book. 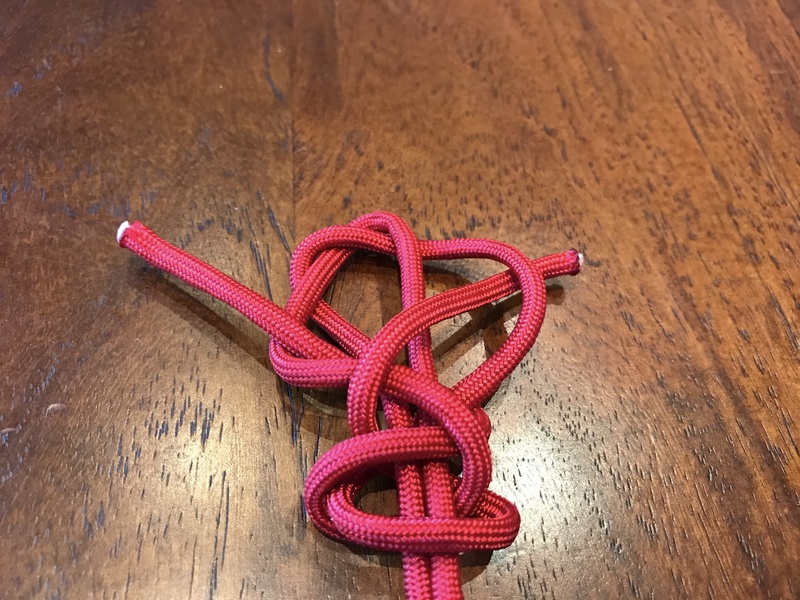 I wanted to see what the error was, and noticed the extension to knot 784: the long or elongated crown and diamond knot. The book says you just need to go around one more time, but exactly where and how… it took me a while to figure out. 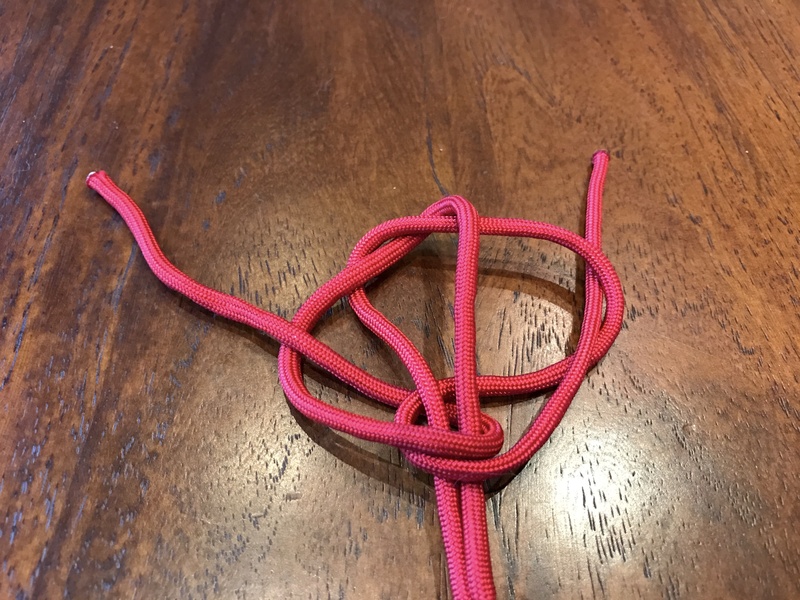 It turns out the error in the diagram is at the same stage of each knot: just before putting the ends through the crown. The ends should go through the middle of the knot before going into the crown in both 784 and 785. Place the end on the right behind the standing parts creating a bight on the right. Place the end on the left in front of the standing parts creating a bight on the left. Wrap each end around and through the bight they each created in the previous step. 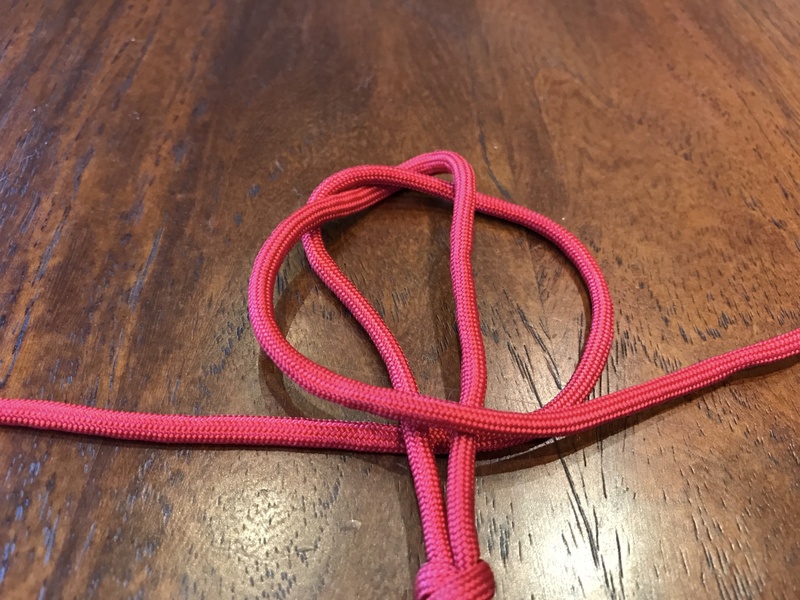 Pass the end on the right behind the whole knot, and the end on the left in front of the whole knot. 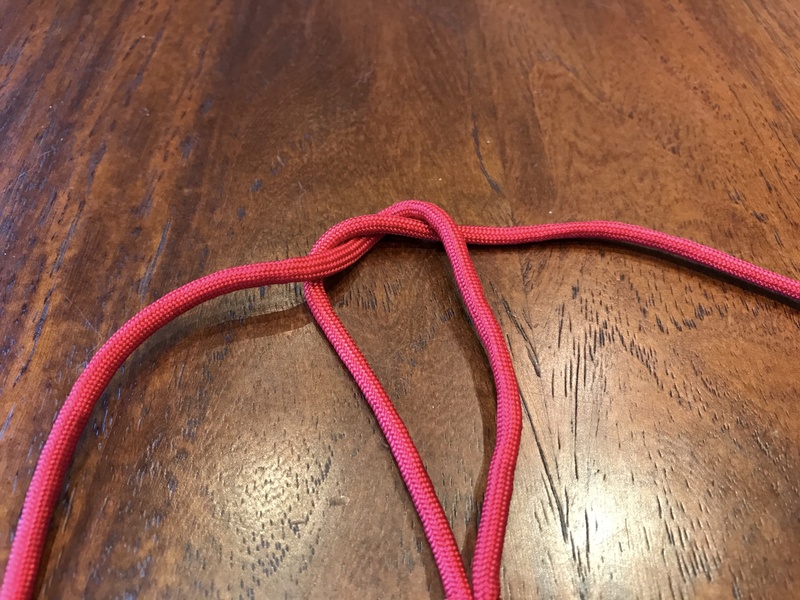 Wrap each end around the outside of the knot and through the bight on the other side (essentially repeating step 3 again). Pass each end through the middle of the crown at the top. Then pull gently to tighten from the top and bottom of the knot. You may need to work some slack through the knot, but the final result will look something like this.